BestofMachinery.com is running a fantastic giveaway that appeals to Moms and Dad’s, Uncles and Aunts, and of course… Grandparents! 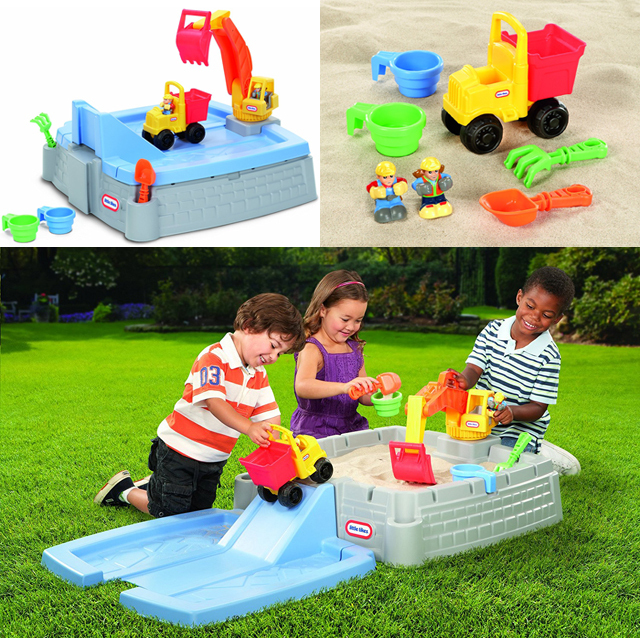 The prize is a functioning Little Tikes Big Digger Sandbox! This is no ordinary sandbox. It features a sand area with molded ramps and roadways, and a real working excavator to dig the sand and load up the toy dumpster truck! It includes all the accessories, too!